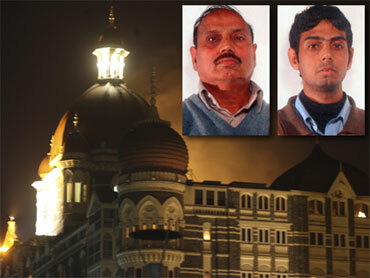 Italian police on Saturday arrested a Pakistani father and son accused of helping fund and provide logistical support for last year's attacks in Mumbai, India, authorities said. The two were arrested in an early morning raid in Brescia, where they managed a money transfer agency, police in the northern Italian city said. Their agency, which operated on the Western Union money transfer network, was seized by police. The suspects were identified in a police statement as 60-year-old Mohammad Yaqub Janjua and 31-year-old Aamer Yaqub Janjua. The pair are accused of "aiding and abetting international terrorism" as well as "illegal financial activity." Stefano Fonsi, the head of anti-terror police in Brescia, said that Italian authorities had shared details of their identities with Pakistani officials. The day before the attacks began on November 26, they allegedly sent money using a stolen identity to a U.S. company to activate Internet phone accounts used by the attackers and their handlers, said Stefano Fonsi, the head of anti-terror police in Brescia. The transfer was just $229 but allegedly gave the attackers five lines over the Internet, which are difficult to trace and allowed militants to keep in touch even during the rampage, Fonsi said. Italian police began the probe in December after being alerted by the FBI and Indian police about the transfer, Fonsi said. Ten militants, allegedly from Pakistan, killed 166 people in a three-day assault on luxury hotels, a Jewish center and other sites in India's financial capital. One Italian was among the 19 foreigners killed. The funds were transferred under the identity of another Pakistani man who had never been to Italy and was not involved in the attacks, Fonsi said. 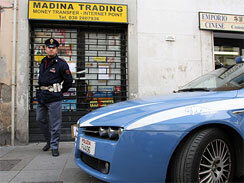 Transferring funds using the identity of other people was a common practice at the Madina Trading agency in Brescia, and the Italian probe broke up a ring of people who used the system, Fonsi said. Two more Pakistanis were arrested in Saturday's raids for allegedly committing fraud, money laundering and other crimes through the masked transfers, but they were not linked to the Mumbai attacks. A fifth Pakistani man escaped arrest and was still being sought. An additional 12 people were flagged to prosecutors for possible investigation but were not arrested, Fonsi said. Just by using the stolen identity, the suspects had transferred some €400,000 ($590,000) between 2006 and 2008 to various countries. Police also believe the network used its contacts in Pakistan to help illegal immigrants enter Italy. © 2009 The Associated Press. All Rights Reserved. This material may not be published, broadcast, rewritten, or redistributed. "You sort of feel guilty throwing away a living plant. It'd be like throwing away your dog. You can't do that." The Justice Department said Friday a subpoena for the full, unredacted version of the Mueller report is "premature and unnecessary." Democratic strategist Joel Payne and Republican strategist Matt Gorman join CBSN to discuss how both parties are responding to the report's release. Plants are the new pets. For some, they're sending their orchids to an expert, where the blooms can get special care. Steve Hartman explains. There is some good news from the ashes of Notre Dame. The shell of the cathedral is no longer in danger of collapsing. But there is still much work to be done. Roxana Saberi reports.